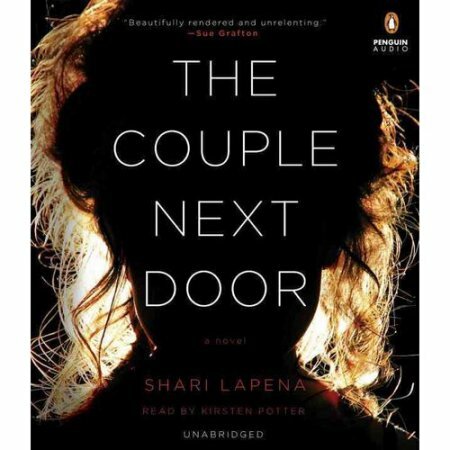 Our book club read The Couple Next Door only a few months ago, so I clearly remember how I felt about it. Recommended by: Book Club, and several people I heard discussing it on the radio. Main characters: Anne and Marco Conti, and their kidnapped baby daughter Cora. And some iffy neighbours and in-laws. And a world-weary detective. Opinions: The book club was divided – some found it quite engaging and exciting, and some found it annoying. I have to admit, I am one of the latter. I wanted to like it; after all, the author is a Canadian English teacher, yay! Good on her for writing a very successful book. Listening to other reviews, people are like, “It’s full of twists! I couldn’t put it down! Page-turner from start to finish!” I, on the other hand, was like, “It’s full of gimmicks! I couldn’t relate to any of the characters! Cringeable writing from start to finish!” I didn’t hate it – it wasn’t boring – I finished it with no problem. I did want to know what happened. But honestly, if you’re planning, as an author, to wrench readers’ heartstrings by featuring a missing infant, you need to back that up with grounded plot lines and realistic parents we can care about. (In my opinion.) In this case, it felt like plot-twist experimentation, as in, “Let’s see if they’ll swallow THIS one!” Especially at the end. A quotation I liked: Sorry… nothing that moved me. The writing was part of my problem with the book in general – I couldn’t make myself stop noticing the awkwardness of a third-person narrative in the present tense. What sticks with me: That awful idea of coming in to see your baby – and her being gone. Recommended to: Readers who love a surprising, suspenseful plot and don’t mind so much about underdeveloped characters. To sum up: I’m not a fan of The Couple Next Door, but you might be! For kidnapped babies, read Kate Morton’s “The Lake House” instead. Did you read that in your book club, Diana, or just on your own? I know you liked it! Yes, I did like it a lot! That one I read as a recommendation from Skye. I’ll probably review it too!